Tennessee. He was hospitalized April 18 with fever and irregular blood pressure. George Glenn Jones (September 12, 1931 – April 26, 2013) was an American country music singer known for his long list of hit records, his distinctive voice and phrasing, and his marriage to Tammy Wynette. Over the past 20 years, Jones has frequently been referred to as the greatest living country singer. 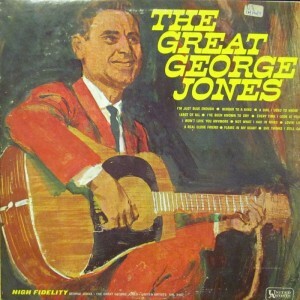 George Jones has been a member of the Grand Ole Opry since 1956. Jones has received many honors during his long career, from Most Promising New Country Vocalist in 1956, being inducted into the Country Music Hall of Fame in 1992, and being named a Kennedy Center Honoree in 2008. In 2012 he was presented with a Grammy Lifetime Achievement award. At the ceremony his longtime friend Merle Haggard paid tribute to him. George Jones died April 26, 2013 at Vanderbilt University Medical Center in Nashville, Tennessee. He was hospitalized April 18 with fever and irregular blood pressure. Tagged 2013 at Vanderbilt University Medical Center in Nashville, George Jones died April 26, George Jones has been a member of the Grand Ole Opry since 1956, Music Charts Magazine News, Music Charts Magazine Obituaries, Tennessee. He was hospitalized April 18 with fever and irregular blood pressure.